With the Nop Facebook Shop plugin you can get your store up in Facebook, where everybody can see it. This plugin comes with styling for all our themes. 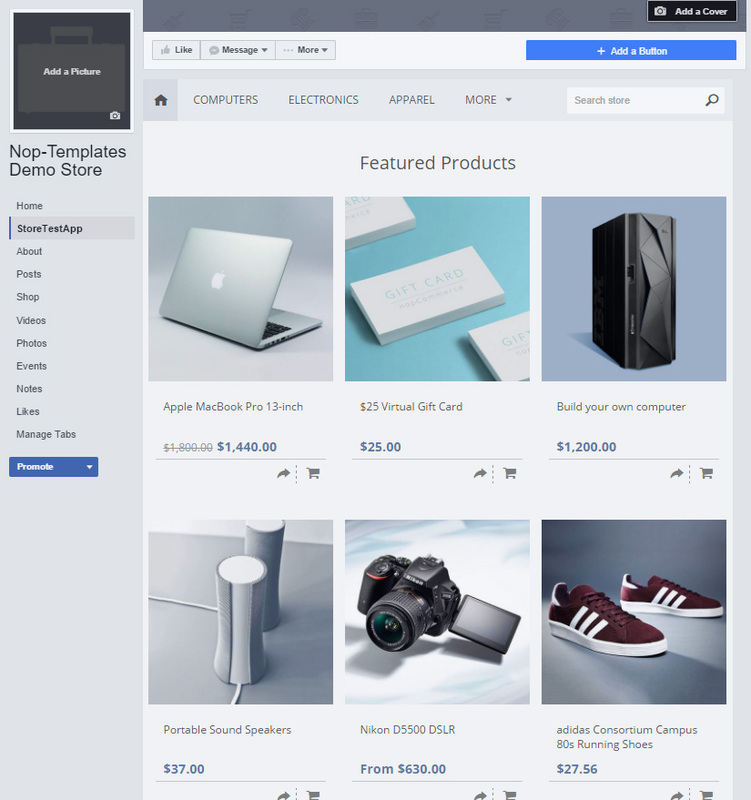 Live DEMO - see how the Nop Facebook Shop plugin would look like. 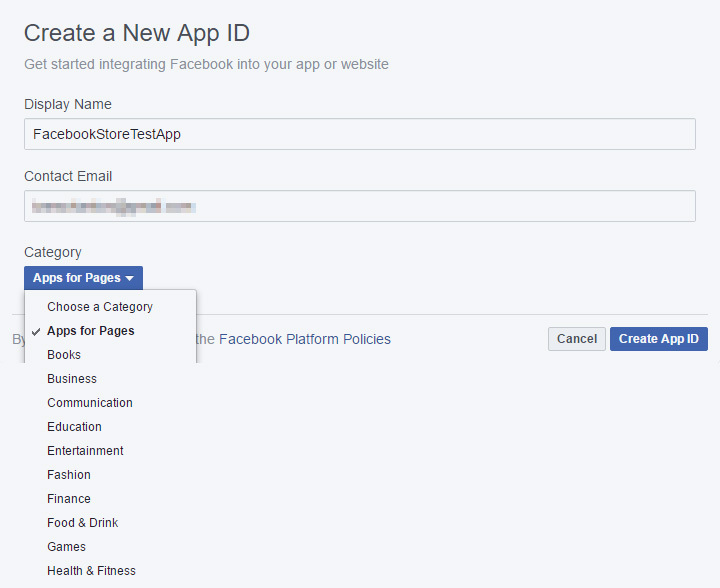 To enable Nop Facebook Shop just install it. You can access it via this path: http(s)://www.yourStore.com/facebook/store/. The plugin supports nopCommerce 3.5 or higher versions. Home Page Products - Select the products, which will be shown on the home page. Number Of Item Boxes Per Row - Set how many products to be shown on each row in product grid. Catalog Page Size - Set how many products to be shown on catalog pages. Main Banner Image - Select an image that will shows up in the top of your facebook store. Show Main Banner On All Pages - Check this setting to show the main banner on all pages. Otherwise it will be shown only on the home page. Main Menu Categories - Select the categories, which will be shown in the menu. Number Of Top Level Menu Category Items - Set the number of categories to be shown as top level items in the menu. The rest will be shown in "More" menu item. Include Manufacturers Item In The Main Menu - Check this setting to show a manufacturers item in the main menu. Show Short Description - Show short description on product details page. Show Full Description - Show full description on product details page. Number Of Related Products - Set how many related products to be shown on product page. The server you are using has to be secure - it should have valid SSL Security Certificate for the domain under which it's hosted. This is required by Facebook. 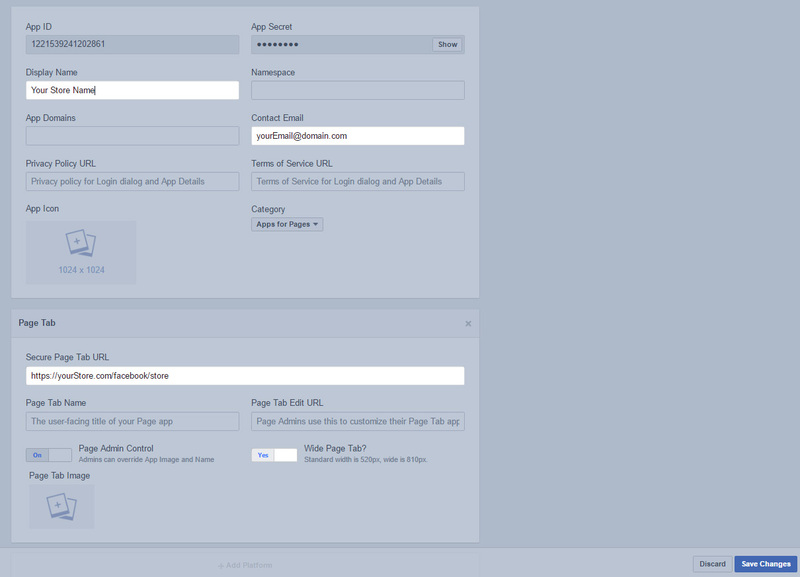 The first step is creating an application in Facebook. You can do this by going to https://developers.facebook.com/apps/. Click on the "Add a New App" button. Choose a Name for your app. Next, choose a category. You should select "Apps For Pages". Click on the confirm button. Now you will be redirected to your app page. Go to "Settings" from the left navigation. Click on the "Add Platform" button. 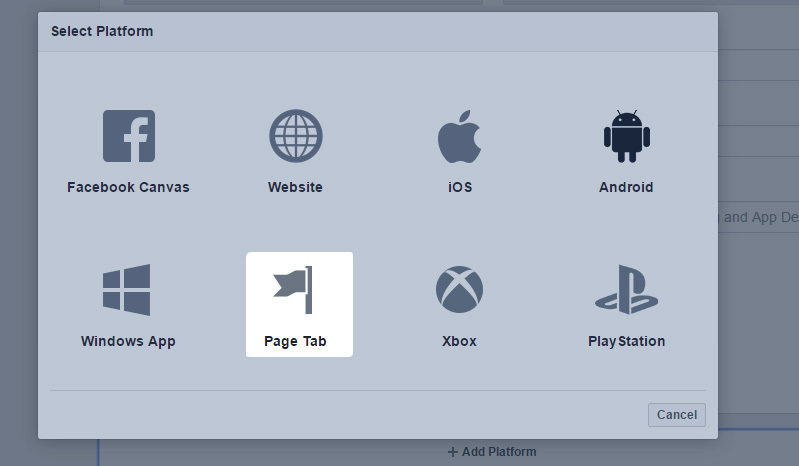 Select "Page Tab" platform option. Now you will see a section called "Page Tab". 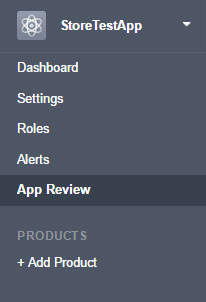 Go to the "Status & Review" page and make your app live. This will allow other people to see it, not just you. By default the "Page Admin Control" and the "Wide Page Tab" are enabled. Leave them this way and save the changes. From the left navigation > App Details, you can add images and icons for your app. Replace "YOUR_APP_ID" with your App ID and "YOUR_URL" with your app's URL, both of which values are available in your app settings. You'll see an "Add page tab" page. 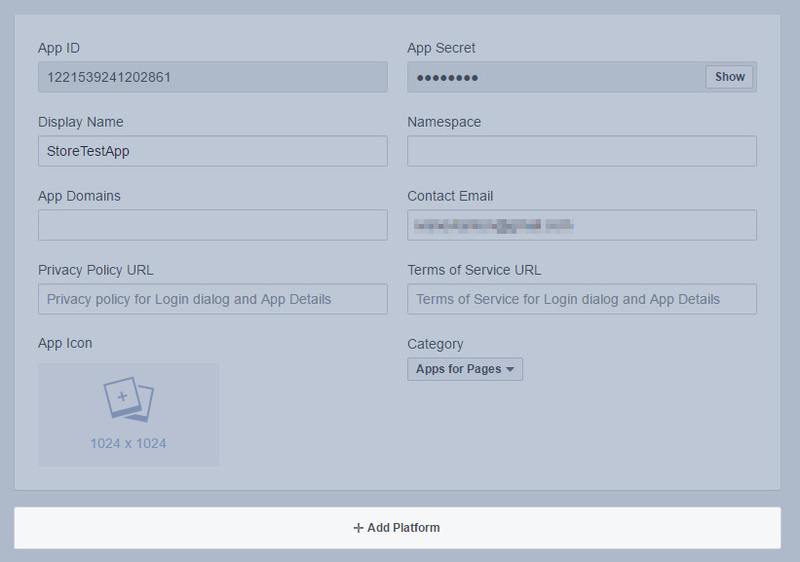 After selecting your Facebook page from the dropdown menu and clicking "Add Page Tab" your iFrame app should appear on your Fan Page. Note: You will not be able to see your Facebook Shop Page on mobile devices because the tabs of the Facebook Pages do not appear when Facebook is accessed via a mobile device. For more information you can check the Facebook documentation.